The first day is over and, oh boy, we got a lot of new impressions. 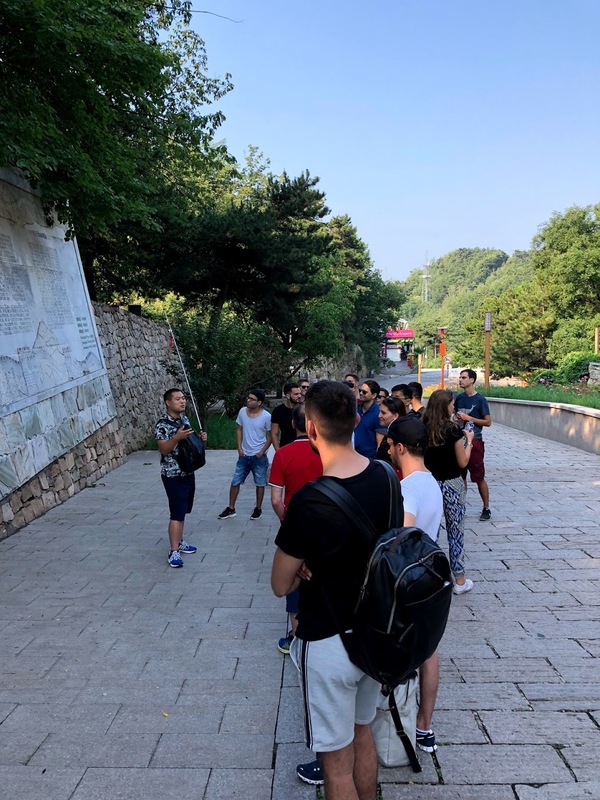 In the early hours of the morning, our group set off for the Great Wall of China. In the car our tour guide Jimes introduced himself, who covered us over the whole day diligently with information about the sights. The weather was perfect and the view was wonderful. However, climbing the stairs is no walk in the park. Again and again very steep sections had to be climbed. The biggest challenge was the heat, which reached 38 degrees during the day. The effort was fortunately worthwhile and was rewarded with a fantastic view. 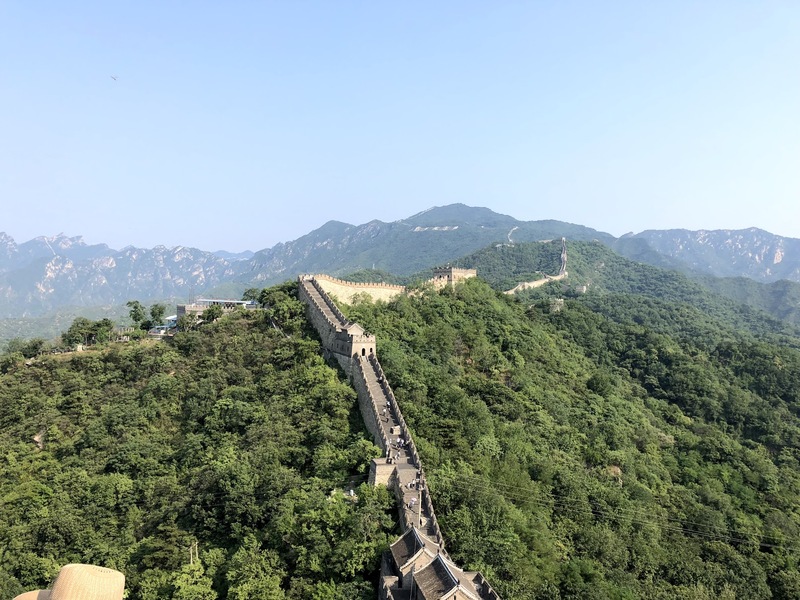 The Mu Tiang section of the Great Wall is known for its dimensions and construction quality. For lunch we had traditional Chinese food, after that the journey went on to the centre of Beijing. 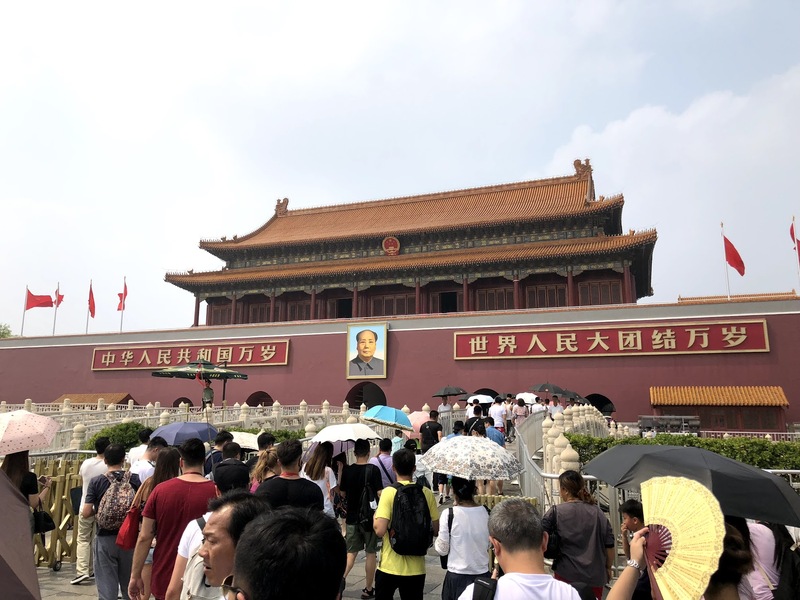 The tour continued on Tian´anmen Square. This place became sadly known through its student massacre in 1989. 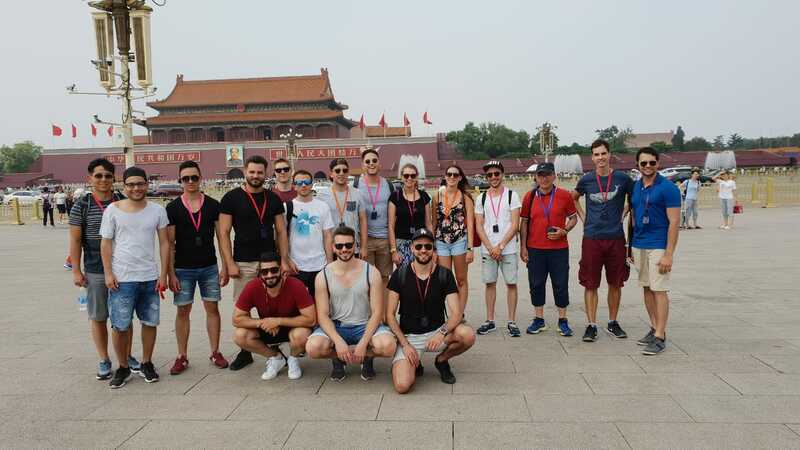 After a brief introduction to its surrounding buildings we entered the complex of the Forbidden City, where we learned even more about Beijing’s history. 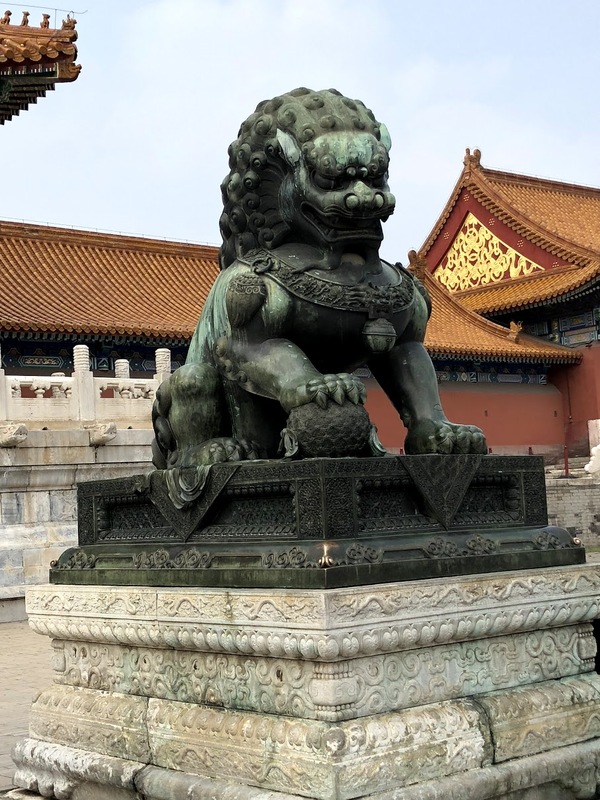 The last sight for today was the Behai Park, which lies northwest of the Forbidden City. 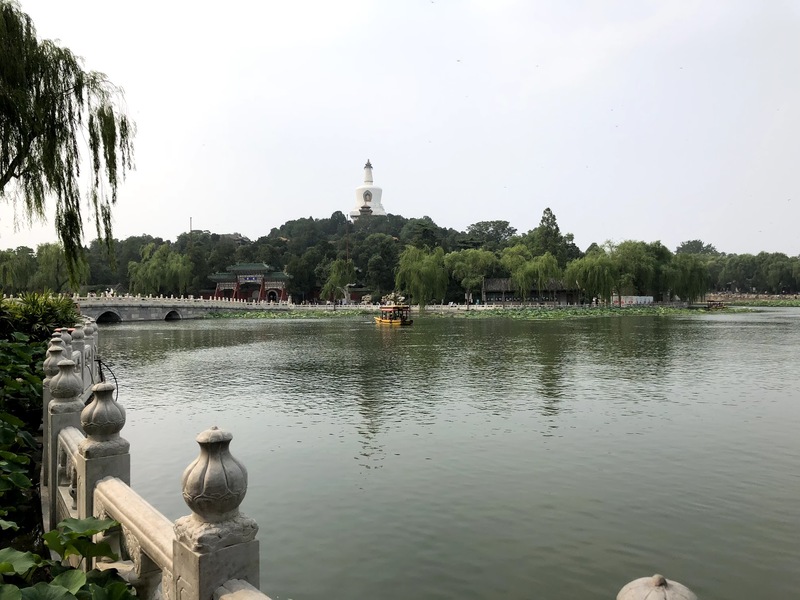 The park is a typical Chinese garden where beautiful lotuses grow. Unfortunately, these are not flowered during our stay. To round off the day, we indulged in a Chinese barbeque. The specialities of the restaurant were the leg of lamb and the beef. The food was fantastic. This entry was posted in SML Emerging Markets Field Trip 2018 by paradale. Bookmark the permalink.